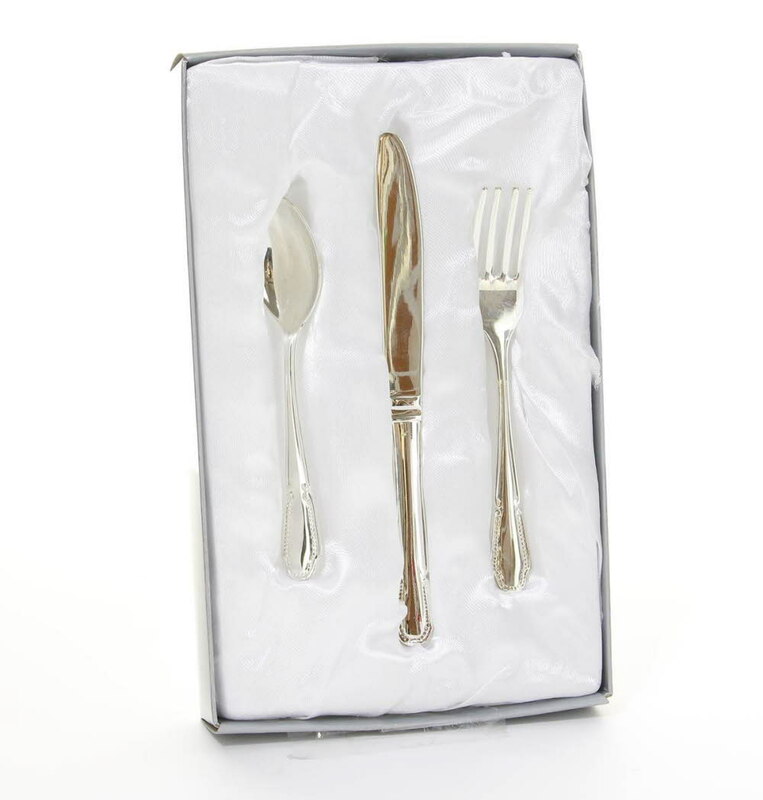 Beautifully made silver plated knife, spoon and fork set presented in a satin lined gift box as shown. You can have them engraved the same of a different set of text on each. Please keep your text to a date or name, no more than 6 letters, due to the engraved area space. A perfect gift for a new arrival or for a Christening gift. 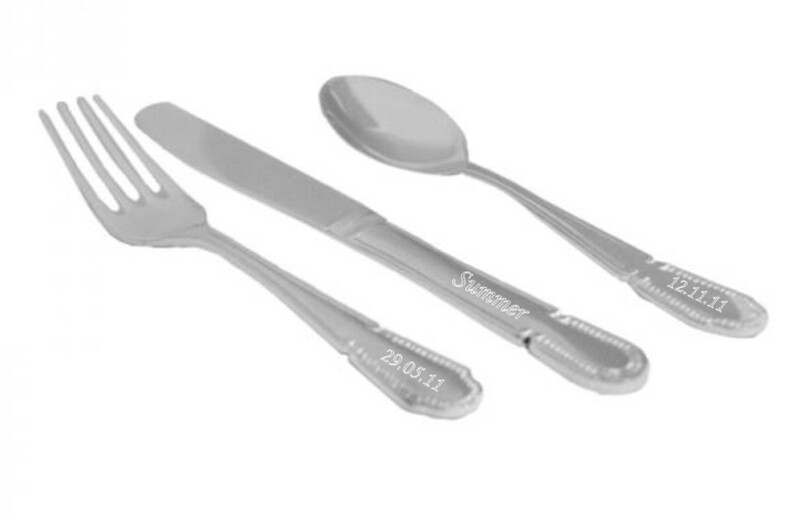 Baby's first cutlery set.